Today’s Market: “Something’s Coming, Something Good” Are Happiness and Success Hinged to One Household Chore? We’ve all grown up with abbreviations and acronyms that probably originated at sea, such as SOS (originally for “save our ship”) to POSH (for “portside out, starboard in”), and many others that developed on land for everyday living, as impressive as VIP (“very important person”), as French as RSVP (“respondez s’l vous plait”), as urgent as ASAP (“as soon as possible”) and, the important one I learned attending college in a dry state, BYOL (“bring your own liquor”). Not all of us studied Gregg or Pitman, but a new shorthand developed, then exploded, with the invention of the personal computer, then the Internet. Who ever heard of LOL (“laughing out loud”), IMHO (“in my humble opinion”) and the ubiquitous OMG! (“oh, my God!”) before we logged on? And now that we’ve learned to text, much of what we send and receive makes it look as though we’re all secret agents. But in RE (“real estate”), the world of abbreviations and acronyms frequently draws questions about meanings among realtors and blank looks from buyers and sellers as we start to automatically reference letters from the alphabet, from AO (“acceptable offer”) to ZB (“zoning board”), CMA (“comparative market analysis”), and CO (“certificate of occupancy”). 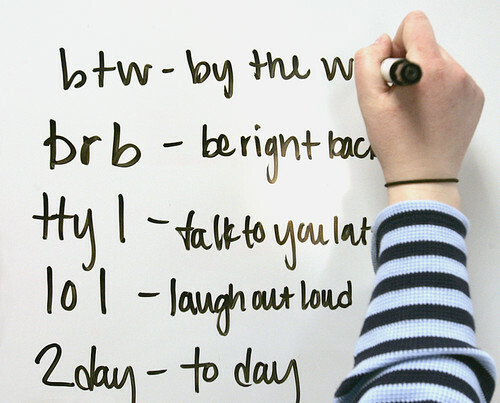 Keeping up with these abbreviations is a continuing learning process that can lead to misunderstanding, double interpretations and silly sounds (my favorite is FISBO, “for sale by owner,” which when I first heard it sounded to me like a digestive remedy). This subject came to mind recently when I was having a rather uncomfortable conversation with a service provider, a rare situation since most suppliers are very eager to please and to win our business, but this one, who installed tiling, refused to give me a solid estimate of what it would cost to have some tiles repaired and replaced at the water line of my pool. When I shared with him that I was hoping that it might be around a $500 job, he retorted, “No way! It’s going to be a lot more than that!” When I asked how much more, he said, “I won’t know until I actually do the work and then it will all be ‘TM.’” The only TM I knew was transcendental meditation, which I thought I would surely need when our conversation was concluded, but when I screwed up my courage to ask what TM was, he was happy to educate me: “time and materials.” The rest of this story will be reported in another column about this dubious practice of quoting jobs without a quote, or at least some stated limits for costs. 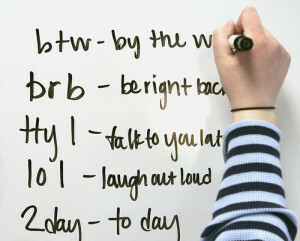 But for now, I added this abbreviation to my shorthand list to be ITK (“in the know”). Why everything in the real estate business must be abbreviated, I can’t say, but I suspect it all originated as a way to save space in listings and ads. Read any ad about a house and you won’t find a complete word anyplace, but rather just a series of letters, some whose meanings are more difficult to guess than others. Consider this house description: EF (“entry foyer”), LR (‘living room”), DR (“dining room”), EIK (doesn’t the abbreviation for “eat in kitchen” sound like a shriek? ), FR (“family room”), BD or BR (“bedroom”), BA (bath), SGD (“sliding glass doors”), WIC (“walk-in-closet”) WDSTV (“wood burning stove”), BSMT (‘basement”), GAR (“garage”) and DK (“deck”). The ad might also state that it needs TLC (“tender loving care”) and offer the possibility of a M/D (“mother/daughter”). Styles of homes also have their own codes as with COL (“colonial”), CONT (“contemporary”), RR (“raised ranch”), SL (“split level”) and CC (“Cape Cod”). Not to be overlooked for confusion are those abbreviations with double meanings such as AC (“air conditioning,” but it can also mean “acre”) and FHA ( which can mean either “Federal Housing Authority” or “forced hot air”). And some sound either funny or crude, such as PUD (“planned unit development”), HOA (“home owners association”), HUD (“Department of Housing and Urban Development”), and NOO (which is not an emphatic negative, but rather “non owner occupied”). Then there are all the financial terms to keep straight, such as APR (“annual percentage rate”) and ARM (“adjustable rate mortgage,” one of the factors that caused the bubble, then the bust, in the market). Those that definitely need explanation the first time around may be DVAC (“central vacuum”), HVAC (“heating, ventilation and air conditioning”) and the one I’ll never remember if I live to be 100 years old, GFI or GFCI (“ground-fault circuit interrupter,” a special electrical receptacle that protects us from electrocution in high risk areas such as bathrooms and kitchens). Before I’m ready to draw a conclusion and say AMEN (not meaning “amenities”), I’ll relate a incident in which I was convinced that abbreviations, while convenient, may be taken too far.